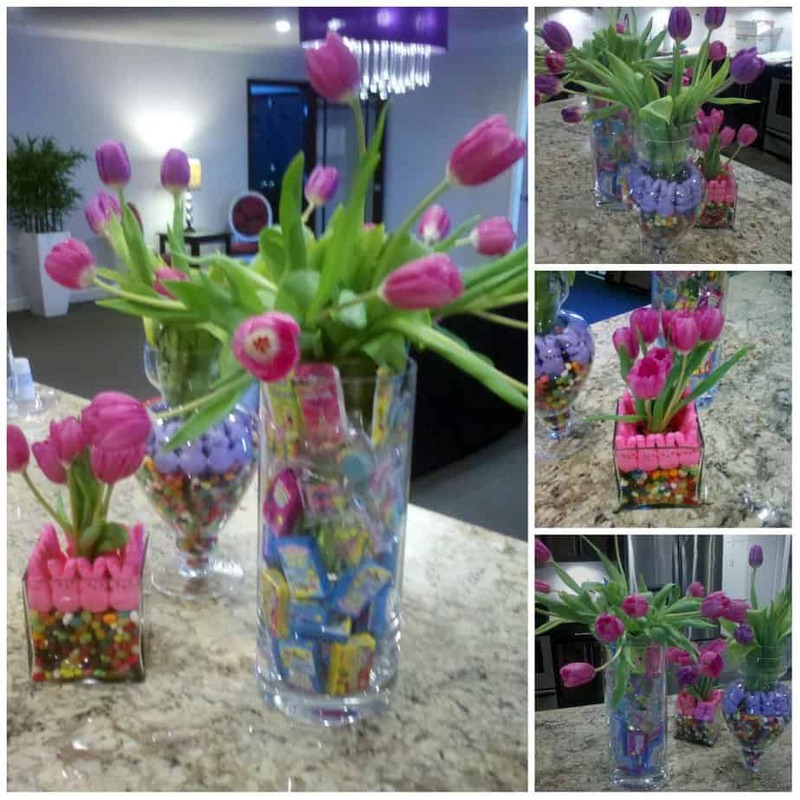 This is an easy, inexpensive Easter centerpiece featuring one of my favorite flowers, Tulips. It’s another smaller vase inside a larger vase concept. Let your imagination run wild. I used these on the island in the church kitchen. These pics were all taken with my phone before I started blogging. 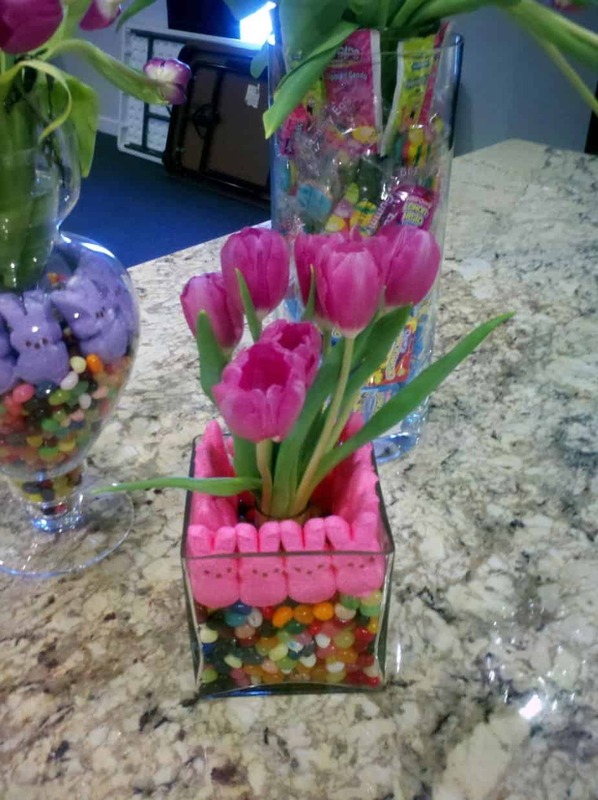 I used jelly beans, peeps and assorted Easter candy as fillers. Aren’t they cute? Helpful Hint: To get your flowers at a reasonable price, buy them at your local super center. Use different shaped vases at varying heights. So simple and fun and beautiful! These would definitely add a feeling of spring to the home. Thanks for sharing. What cute centerpieces!! Tasty too! 🙂 Thanks fro stopping by today!